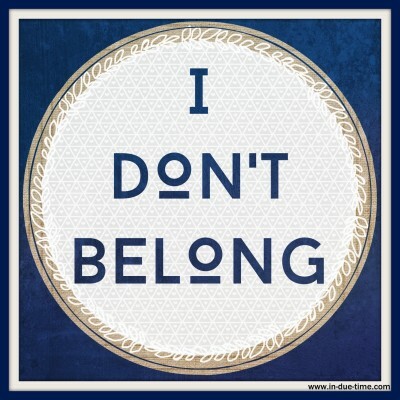 I don’t belong. I don’t fit in. I feel out of place. I feel like I can’t relate to those around me. Most of my friends who want to be moms are moms. Most of my friends who are going through infertility are pursuing treatments. There are two groups and I don’t belong in either. I can count on one hand the number of people I know who are on the same path as me – they desire to be a mom, but aren’t seeking medical intervention. Instead, like me, they too are believing for a complete miracle. I feel out of place. I never have any updates. My update is that I’m still not pregnant. I started this blog to document our infertility journey, but besides an occasional annual blood test here or there, I don’t have anything fertility related to share. We aren’t seeing any doctors. I’m not taking any shots or drugs. I don’t have any blood draws or treatments. I don’t track my cycles. I’m not charting. I’m not doing anything that I should be doing to get pregnant. It feels like most people have forgotten the struggle and trial we are facing. Some don’t understand and many haven’t ever tried to. Others have stopped caring. People have told me they feel awkward around me. Most don’t know how to talk to me regarding pregnancy related conversations. I have lost friends. I feel like a burden to those around me. It seems to me that most people think that since we aren’t seeing doctors and pursuing fertility treatments, the desire to becoming parents isn’t a top priority to us. The desire is definitely there. All I want is to be mom. In fact, that desire started when I was very young. I always pictured getting married at a young age, followed by having lots of kids at a young age. Clearly, that didn’t happen. Some days it’s hard to accept that I’m still waiting. It’s hard to feel like I don’t belong in the two groups surrounding me: the mom world and the infertility world. I can’t relate to either. I know following Jesus isn’t supposed to be comfortable. I know it’s not about me fitting in. It isn’t about the path everyone else is on either. 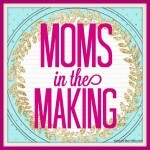 It doesn’t matter that my journey to becoming a mom doesn’t make sense to most. It doesn’t matter that I feel left out. What matters is that I am obedient to God and what He has called us to do – even if it leaves me feeling like I don’t belong. I have to remind myself that even though it’s often hard to relate to those around me, it doesn’t make my journey any less important. God is with me and even though I don’t understand what He is doing, I continue to trust that as He is good. He has called me out beyond the shore and into the waves. He will make me brave. Brave enough to realize it’s okay to feel alone. Brave enough to realize it’s okay to not belong. Brave enough to realize it’s ok that our path is different than most. Brave enough to keep believing and pressing forward even though it doesn’t make sense. I know He is with me. He will provide. He will carry me. He will be there every step of the way. He knows my heart. He knows my pain. He is faithful. It doesn’t matter that I don’t fit in. It doesn’t matter that I’m not following the same path that most take. It doesn’t matter that I feel alone. What matters is that I know this truth – with Him I am never, ever alone. I will always belong to Him. Do you feel like you don’t fit into the groups around you? Is there something you are asking God for that you don’t yet have, but most people around you do? Are you content with being on a different path? Oh my heart breaks for you. I am so sorry you feel isolated. 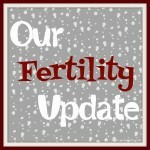 I can definitely see that, most infertility blogs are full of treatment or adoption updates. You are on a different path, and even though there are less “updates” it doesn’t mean that every day you’re not closer to your dream. Aww that must be hard to feel that you don’t have a place to belong. But know that there are many women just like you out there! I current have a friend who has been TTC for 23 months and continues to take the natural approach! Lots of thoughts & prayers your way! we are in the world, but NOT of the world…. I won’t pretend to know exactly how you feel, but my heart breaks for you because being a mom was something I also wanted since I was a little girl. I’m glad that you are still faithfully waiting on God and I pray that He will strengthen you and encourage you, and that He will answer this prayer of yours. I really can’t understand what you’re going through, but I do admire your strength. I believe in adoption and medical intervention, but I think if you feel personally called NOT to pursue those things, it’s amazing that you’re trusting God in that. I really can’t understand what you’re going through, but I do admire your strength. Personally, I believe in adoption and medical intervention and if I face infertility those will definitely be my next steps. But I don’t know what it’s like to be called to wait on Him and trust in Him fully during that waiting. I admire your faith and ability to stay committed even when it’s hard and frustrating and lonely. Awesome friend!!! Thank you for sharing your heart. You are on a different path. It is an incredible one. God is making you incredibly strong and brave. Praying for you! I want you to know you are never ever alone and that we have not forgotten your pain. I have gone through the pains you are feeling and it can be so isolating. You do an amazing job of sharing your experience while also praising God’s will. Your faith amazes me. We are going the natural route too, mainly because we can’t afford the suggested procedure by our doctor 😉 I hope you get your miracle soon. My heart aches for you my sweet friend. I haven’t and won’t forget you and you are on my mind daily, always in my prayers and my thoughts. God is preparing amazingly beautiful babies for you. You will be the best mom. Your faith is an inspiration to me. Just know that even though your path is different it doesn’t make it any less powerful. I love you friend!! Oh Caroline, my heart breaks for you and I totally agree with you! Although we’re not “trying” for kids yet, we have decided early on that we won’t pursue any treatments, shots, charts, etc. to have this child. We completely want our children to be created naturally and with love and grace. Praying for you sweet friend! Oh sweet Caroline, I get it. The loneliness, the feeling left out or a burden, it is so real. But the only consolation I know I can offer is that God is right there with you in and through this. He wants you, all of you and what sometimes feels like the stripping away of everything else really ends up being the gaining of so much more of Him. It is beautiful and hard all at once. Keep following the direction He puts you in, whether pursing treatments are not. People thought Abraham and Sarah were crazy hoping for their promised child and being so old, but God works miracles. Be faithful and know how much you are truly loved. Praying for you! I’m so sorry that you’re feeling this way friend! I know for a fact that the TTC community loves and accepts you and your journey no matter what. I think most of us would agree that we don’t judge each other’s choices in this community because everyone’s journey is different and there is no right or wrong way to go about trying to become parents. I know that motherhood is the deepest desire of your heart, I don’t doubt that for a second because it’s mine too and so many others as well. Always here for you girl! This morning I was reading I Kings 18. There was a famine in the land. It said “It was a long time, then Elijah heard the voice of the Lord”. I thought about how many things it has been a long time that I have been waiting for. Then I thought about so many answers to prayers I have already seen! You are not alone in this. So many are praying for you and have not forgotten this promise of God for you. We will all rejoice together with you when that day comes that you “hear the voice of the Lord”!! I am sure this is very hard, and I thank you for being so honest. I’m sorry this has hurt some of your friendships. It is comforting to know we always have a place with Jesus. It reminds me of Track 5 of the Bethel (We Will Not Be Shaken) CD. I was just listening to that song this morning. Prayed for you last night! IVF-ICSI is a MAJOR step, and it will be there tomorrow. Decisions about your life do not need to be made today, or even this month. No one can endure this medical/emotional torture non-stop. No one can make these choices for you, and if you are at peace with your choices, that is what matters. I know for me, I feel better doing something, anything, even though tracking my cycles is a medically laughable plan. You are doing something in your own way, probably more meaningful that my silly efforts to occupy my mind. You are listening to your heart. And this is what is telling you now. Caroline – you are such an inspiration and your faith is so amazing to me! I’m so sorry you feel this way. I think more people feel this way than you know (you’re just the strong one to admit it)! God’s timing doesn’t always make sense in the moment, but when your babies come – they will be absolutely perfect! Praying for you! Girl you are so right- “It doesn’t matter that my journey to becoming a mom doesn’t make sense to most. It doesn’t matter that I feel left out. What matters is that I am obedient to God and what He has called us to do – even if it leaves me feeling like I don’t belong.” That so stuck out to me! I can’t relate, and there aren’t words that I can say that will make you feel better. I know you aren’t looking for that anyway. You are strong and such an inspiration. You & Colby need to continue doing exactly what you are doing, whatever feels right for YOU. Period. In the mean time, you have a lot of people that do care about you, your journey & your feelings. Love you friend, and I am always praying for you. Caroline, your faith is such an inspiration. I don’t know anyone who trusts in God the way you do. I have a different view point from you on infertility and adoption but the fact that you’ve lost friendships over your belief makes me sad. I continue to pray that God will make that miracle happen for you. Amen! My husband and I have stopped treatments also and we are praying for our path to be revealed. No blood tests, doctor’s visits, or anything and I feel the same way you do. It’s hard to be in the middle. Sean and I have been considering foster parenting and people have told me I am giving up. Nope – just praying and doing as I am led. It’s a hard road – please know that you are not walking alone. You do belong, and we are lucky to count you in our group! I am going to stand in agree with you and join my faith with yours. Thank you, for sharing your faith. Yes, I had been with the same church family for over 20 years. God placed it in my heart it was time to make a change. I have been with my new church family for almost 2 years. They are kind people, I am an active member but I just don’t feel as if I fit in. I continue to walk in obedience and do what God has placed in my heart. Oh, dear friend! Can I ever relate! YES, I know how you feel. Kevin and I chose NOT to do anything else, but to trust GOD through our 12.5 years of longing for a baby. Did people understand us? Definitely not. Did people try to pressure us? Absolutely. Did we feel alone? Without a doubt. The road of following Jesus wholeheartedly can be a lonely, misunderstood, humanly-forsaken path…just look at Him and how “they all forsook Him and fled” right when He needed them the most. But, He had ONE focus…and that was to please His Father…His Father is our Father. We will never be understood or fit in to the world’s mold as long as we are taking the radical path of total surrender to Jesus, but oh, the glory that overshadows and fills up this path!!! it is SO worth it! It is better to please God than to please man! It is better to trust in the Lord than to put confidence in man! The wonderful thing is that even though Kevin and I never took one fertility treatment, GOD, in His infinite mercy, opened my barren womb for ONE moment in time, He allowed me to conceive and bear one miracle son, who is now 14 and blesses our lives in more ways than I even know how to count! God is still on the throne, and He is still in the miracle-working business, and HE is going to send YOU and Colby YOUR miracle!!! When we allow Him to work, totally on His Own, guess what? HE gets ALL the glory, and He absolutely deserves it!! I walk a continual radical path, and I so understand how you feel…on a different level, too…in the blogging world. I do not fit in. Anywhere. God calls me to write on heavy subjects that are not easy on the flesh…either to read OR to write. I can’t even begin to tell you how much it takes out of me, and there is little support or encouragement sometimes. It is a lonely path, but I am not alone. For the One Who has called me walks beside me!! Praise His name! His doctrine has never been popular. He has always been scorned, ESPECIALLY by the religious elite. He NEVER fit in on this earth in any way. But, just look where HE is now!!! Sorry to be so long-winded…I just want to encourage you to press on, my dear friend. Keep the faith. Stay close to the fire of God’s will. Follow Jesus with all your heart, and count it all joy when His path leads you away from fitting in. He is with you, dear one, and YOUR miracle is coming!!!! It has already been prophesied, and there is no way satan can do anything about it. God’s Word is forever settled in Heaven…it is a done deal. Keep encouraged. I can’t wait until you hold your baby and you can proclaim to the world that it absolutely pays to follow Jesus and NOT FIT IN!!!!!! This spoke volumes to me today. Thank you for writing this post! It spoke life into a difficult week. I linked it to my post today, wanting others to hear. Sweet friend. I understand what you are saying. Totally get it! We have been believing to conceive for 10 years now!! The time has been long. Tears have been many. We are not going through fertility treatments. (been there done that). They didn’t work for us. So often isolated and alone. Just this week alone 2 people have announced that they are pregnant at work. I had to force myself to say, “God, I trust you”. Heaven is not running out of babies. When my faith felt its weakest Holy Spirit began to share with my husband intimate things about our children. He told him tha they will play sports and love lunchables…lol (of all things). He has heard my cry and yours as well. My dear sweet friend your arms will hold your babies. You will feel the warmth of their skin on yours. You will place tiny kisses on there forheads. I believe, because it’s already done! Be encouraged my dear sister. You are SO brave my friend! Taking action in what God is calling you to do is such a brave and selfless thing. Especially when you obviously want to be a Mom so badly. He’ll steer you in the right path someday, I’m sure. Don’t let their misunderstanding of your longing make you feel alone though. I am behind you and there for you. You have a lot of followers and I look to your posts for encouragement every day. i have similar feelings in a different area of life… and totally get the feeling of isolation & not belonging anywhere. i can’t imagine what you are going through, but you are such an encouragement to others by your faith! praying for you during this lonely time! I want to cry… I think because you are where I was. When I was your age & struggling to get pregnant, it was the same thing. I want to say it gets better, but it also gets worse. You get to a point of acceptance of whatever God has you in… but I wont sugar coat it – you never fit in if you don’t have a child. Seriously. But its OK … you have friends who are still loving. But you still have a piece of your heart missing. I know I’m probably not any help. All I can say is I understand… I know the pain & heartache… & while hard, life is still good. Joy can still be found. I still don’t doubt you’ll have your babies one day. I’ve seen way too many people struggle with infertility to only hold their babies… later then expected… but still in their arms nonetheless. Oh Caroline. My heart hurts for you. My husband and I were once in your shoes. We tried naturally for 12 long years before we sought fertility treatments. We did a lot of praying during that time. Ironically, it wasn’t until we were in the midst of treatments and deciding how to proceed next, that I heard God speak to me for the first and only time ever in my life. I was praying for guidance and I clearly heard God say “one more time.” You have to do what feels right for YOU, and what God is leading you to do. I eventually changed course, so maybe this doesn’t help at all, but I was in your shoes at one time. I know how difficult it is. You are a beautiful person inside and out, with such a big heart that I admire tremendously. I’m so sorry for your struggles. Continue to remain faithful. God will give you your heart’s desires. I think can relate just a tiny bit to what you are going through. I suffer from PCOS and the only “treatment” I’m taking at the moment is progesterone pills for 5 days every month so I can have my period regularly. This to avoid re-growth of the uterus walls which can lead to several other problems. As you, becoming a mother has been my forever dream. I wish to adopt, but have my own babies & be pregnant too. I’m constantly daydreaming of our pregnancy announcement, baby shower, nursery decor and all the joyful events that come with a new baby. Last week my sister bought 2 pairs of baby girl socks for her future niece and told me “this is by faith”. My husband asks himself quite often why I haven’t got pregnant. Is not easy. I just try to keep my focus in the Lord, trusting that His time is the Perfect time. I remember Sarah and how long it took her to receive her miracle, remember Hannah’s story as well. Also had someone from my church that after 10 years, last year God blessed her with a baby girl, after seeing her crying out at Jesus feet for her miracle many times before. I remember my pastor praying to God with his eyes full of tears for his future daughter after a miscarriage. Today she’s 1 y/o. When will I become a mommy? I have no idea. But, I’m 100% sure that it will happen for you and for me according to God’s perfect will. You are definitely not alone. Will keep you in my prayers?. “In this world you will have trouble. But take heart! For Jesus has overcome the world.” Love and prayers to you dear Caroline. Sending you a big hug hun. You’re right, our stories and paths aren’t the same but I so admire your strength and grace. Being true to yourself, your God and beliefs is so tough in a world that encourages conformity. Your writing inspires so many people and we are all rooting for you. Oh yes, I have felt like I didn’t belong and there are times now when I continue to feel that way. My friends have families with kids who are going to kindergarten now. The pain isn’t as great and sometimes it isn’t there but I do feel left out at times and like others have forgotten the journey I was on. However, I know that James and I choose the right decision. We also spent many years not actively seeking treatment and I think many thought we didn’t want kids etc. I’m sending you a hug and know God is surrounding you. Caroline, I found your blog via Eva’s World. I am a Christian as well and experienced infertility for a little over 5 years. We didn’t pursue medical treatment either. It seems like in the TTC world, that is unheard of or you are not a part of a group if you haven’t pursued IVF. Through my infertility journey I can boldly say that God does work miracles and life’s paths are different for all of us! I think that is great that you are writing honestly about your feelings. I didn’t do that until after I had my son, and it was so freeing for me! This is a brave post and I applaud you for that. You are right. It is a an uncomfortable thing to do what you are called to do. It’s not a good feeling to feel that you don’t fit in. Sending you my love and thoughts. Hope that you find comfort in Jesus whenever you need it. Thank you for sharing your heart. God has you on your own path for a reason and your faith is an encouragement to so many women. No one can truly understand what you are going through but you and the Lord, but we can walk along side you and encourage and pray for you. You are going to be an amazing mom. Love you friend!!!!! Hey, girl. LOVE your honesty. LOVE you!! When I saw the title of your post, I thought it would be about being surrounded by pregnant women & mommies all the time. Because I totally feel you on that! Believe it or not, I sometimes feel alone in being someone ONLY pursuing IUI’s and not IVF. Haha! 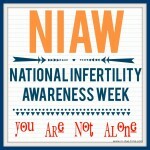 It made me sad to find out you meant you are also alone in the infertility community. I really don’t post a lot of specifics about our treatments. I may mention when one is coming or when one has not worked, but I don’t care for giving exact numbers on blood work & ultrasounds, and I don’t like giving exact dates of treatment. I just like writing about what God is doing/showing me through the process. I hate that you feel alone in this because I LOVE that you are following His leading on not pursuing any treatment! That is what He has instructed you to do & it is the best thing to follow His lead on this! Anyone who judges you for that…well, they just don’t understand two things: (1) God is PERFECTLY CAPABLE of allowing you to conceive without medical intervention, and (2) If you did treatments, if that wasn’t God’s plan for you, you would not conceive with them!! So it would be a waste of time, money & energy. I believe that because I believe very strongly that whether a baby is conceived in the bedroom or in a doctor’s office, he or she is an ABSOLUTE MIRACLE. God is the only one who has the final say of “yes” or “no”. My doctor can do all he can, but only God can allow life to begin. He alone is the author of life! 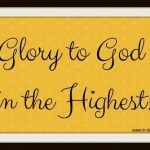 This is why, in my opinion, GOD will get the glory when I do conceive – whether it happens at home or in my RE’s office. Because He alone is the creator. Science will not get the glory because God is the creator of science!! God has a different path for everyone on this journey…to one He may lead them to IUI or IVF or adoption, to another He may lead to do nothing. And that is okay. I do not believe that means one has more faith than the other… in fact, it takes faith & trust in God to follow the fertility treatment/adoption paths just as it does to do nothing! Everyone’s infertility journey is different. I’m not saying any of this to lecture you, because i absolutely support you. Just bothers me a little bit when people think if you do pursue treatments then you aren’t fully trusting God… sometimes you have a medical reason for not conceiving & it is okay to seek a doctor’s help with that just as you would for other medical issues. Anyway, I hope my comment was not a discouraging one!! I am so thankful to have met you & I hope you don’t feel alone with me! I definitely understand following God’s lead with this!! We did no treatments for a year and a half because I didn’t have peace to go back until this year. And now… as i continue to pursue treatments, I find more peace & comfort than I ever thought possible…even when EIGHT of my support group buddies have conceived & I am left behind. I know that He is going to come through for me! And i believe He is going to do the same for you. sweet girl, my heart breaks for you. i feel like i don’t belong. all of my friends are married and have kids, and i’m just sitting over here with my dog. i feel like there’s some secret club i can’t be in. just know you aren’t alone!! Caroline thank you so much for sharing this. Though my issue isn’t with infertility, I do often feel that I’m on a path that others don’t necessarily understand, and it is hard to feel like you don’t fit. But you’re absolutely right – remembering that we belong to God and that he sees us, is of the most comfort. It’s hard not to belong but sometimes when we don’t fit into the typical groups it’s an opportunity to find other ways of belonging/relating. It’s a hard road to walk and I wish the best for you and everyone else. God is our strength Amen. Oh, I can just cry! You are on a journey and I am praying for strength, peace and courage for you today! I am so sorry you are feeling this way, sweet lady. And I can relate to some point. But you are so right…even though it’s hard we must have Faith in the Lord and his journey for us. I actually needed to read this today. We are 8 months TTC and we choose to take the natural approach too and pray for God’s will for our life and our family. We will not be seeking medical intervention either. It took us 2 years to get pregnant with Mason…so we knew before we even started that it would not come with ease or without heartache and frustration. I know that 2 years is definitely not a long time comparatively speaking, but for any woman who so desperately aches for a child that it feels like eternity. I will continue to pray for you! Your faith and obedience in the Lord is inspiring! I don’t think I would ever be able to share my heart like you do. But your sharing your heart, helps others! I’m sure of that! They can relate to you. They can have courage. They can realize they’re not alone either! While I don’t have infertility issues, I can sympathize with your struggle because I have other issues nobody else “seems to have” and issues that I can’t share with other people. I know that God is faithful. I know that God is preparing you for a ministry that only YOU can have. Thank you for sharing your heart! Thank you. You’ve put into words how I have been feeling. We did try to see a doctor because the military paid for it, but they had absolutely no answers for us. It is refreshing to see someone in a similar situation who is focused on God instead of being bitter. Thank you so much for your encouraging post. So sorry to hear about your fertility troubles. 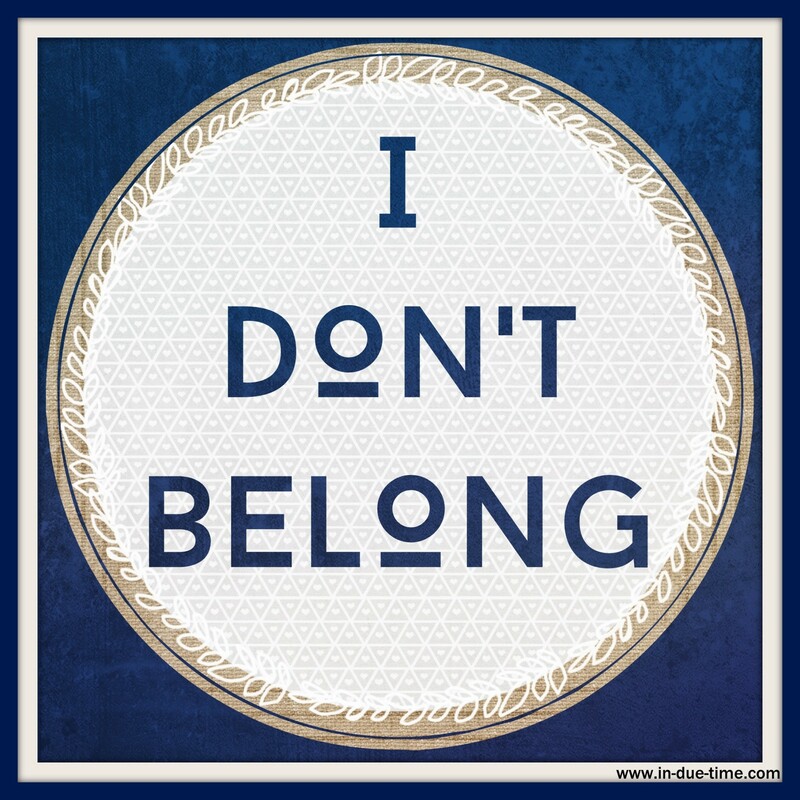 I have often felt that I don’t belong. I’m sure you will overcome this challenge! Oh, I know these emotions well! I waited 5 years (post college) to get married, and then another 4 years before we were able to have a baby. I prayed a lot of emotional prayers during those times. We spent 2 years actively trying (no doctors though) before we got pregnant. And there are no easy answers when we are waiting to see what God’s answer will be. Just wanted to chime in that I truly do empathize, and know that you are in my prayers as well! I’m so sorry you’re feeling this way, sweet girl! I pray that God gives you the desires of your heart soon! I think it takes SO much courage to be this vulnerable and open about your feelings and journey. As someone who feels like they don’t belong (for different reasons of course), this post echoed deep in my heart. Prayers over you today friend. I’m so sorry. I lived it and there are no words to describe it. I have you on my prayer list and will be praying for your heart and that the “due-time” miracle will be released. Caroline, thank you so much for this wonderful post! There is nothing new under the sun and I know that there are many women and men who have chosen the same path as you all have. Praying that God connects you with them so that you can support each other during this process! I have just moved to a new area of town and and working on changes in my business. My husband just told me that his family keeps asking him why doesn’t he ask me to get a ‘job’. Of course I am thinking…I have a job already! Lol. But seriously, hearing that can be a bit disheartening. I have to remember that I am living God’s will and I am born to stand out and not fit in. God bless! YOu have no idea how much I resonate with the post but in a very different reason. I’m not ready and particularly don’t want kids. I have never been one to have that on my list. right now everyone around me is having kids and/or we are being asked if we are having kids, etc. It’s tough. Also we just don’t belong in WV. It’s tough because no matter we always stick out. I’m trying to rest in God and his plan in my life. It’s not always easy. Thank you so much for this post. Oh, it breaks my heart that you have lost friends because of this. I admire your faith and your obedience so much, and I know the Lord will reward you for it. You have been on my heart lately and know that I’ve said some very focused prayers for you. I am so sorry. You are such an inspiration and have touched so many people. Thank you for willing to be so open about your feelings. Caroline, I bawled reading this. In part because I could identify with your statement of not fitting in. I feel that frequently. I’m looking for Christian friends because I don’t fit in with my current friends or family because of my faith. Secondly, at church today, near the end of the sermon, our visiting pastor told us how he and his wife tried to have children for nine years before getting pregnant with their first child. He cried. I think the whole church cried as he said that his wife just went for IVF a couple weeks ago because they want a sibling for their son and on Friday found out that the treatment failed. God is so gracious though because He makes all thing work together for our good. We can’t see it right now but we need to trust all will be well. One day we will look back and see how it all makes sense. God bless you my beautiful friend. Thank you for being so brave and sharing your feelings! I am praying for you and your husband. I remember how lonely I felt as well when all my friends got pregnant instantly. I really wanted to be pregnant and with each passing month with a negative test I got even more depressed. I know there is light at the end of the tunnel so keep praying and keep hoping because one day, when you least expect it your happy ending will come. Hugs! I feel like I don’t belong in most circles but I haven’t been brave enough to share my story. I know the Lord is working and moving in my life but the loneliness tgat I feel like there aren’t others like me around me is sometines overwhelming. I thought I had commented on this, but it looks like I didn’t get around to it. I wish I could give you a HUGE hug right now. I thoroughly believe the time will come for you to conceive and it will be a beautiful miracle. Hang in there, sister. I am so thankful that you share your story – every bit of it. It’s okay to not have an update with fertility or TTC. You are on a journey and none of our journeys look the same. God has called you to be still and wait, and I believe He will provide! I understand this. We’ve been trying for our 2nd child for more than a year. We don’t have any infertility issues, just take a long time to get pregnant. So even though we struggle with TTC, we don’t fit in most TTC “groups.” We did finally get pregnant and then I miscarried at 5 weeks 3 days. I still don’t feel like I fit in anywhere. You are such an inspiration to so many of us. We have a few options we’re pursuing but not as many and Ive often I didn’t belong because I had no updates … Your posts always remind me how good God is and his plan will be better than any plan I can make and it has helped me when I feel like all I’m doing is waiting and waiting. Bless you! Thank you for putting this into words for me. I have felt so alone on my path to become a mother. After two miscarriages, our answer from the Lord is to wait. It is hard to wait when so many around me are growing their families. It isn’t easy, but it is essential to follow the Lord when he makes his will known. 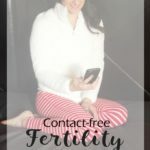 I was browsing infertility blogs and came across yours. As a mother with secondary infertility, I feel I neither belong with the fertile moms who are having more children nor with the infertile childless like you. It is a special problem of secondary infertility. I saw that you have “male factor”. So do we. However, we got pregnant with our child the first month we “tried” seven years ago. I was 30 and my husband was 34. Only after TTC our second for eight months did we learn we have severely low sperm counts. So our child is a miracle that God chose to give us without our asking. He works in mysterious ways and we cannot understand them. Forgive me for being blunt, but He may be waiting until you humbly give up your quest to become pregnant naturally in the face of azoospermia and choose fertility treatments. Why put your faith in a special diet and supplements and yet not try to see if the doctors can help? After all, every single child is a miracle, and a child God may give you with IVF is not less precious than a child God may give you naturally despite your azoospermia. We pursued IVF, which was our only choice given our extremely low counts. (I threw out all of my husband’s fertility reports – what’s the point in knowing that on this date he had so many – or few! – sperm! – but I recall they were less than one million.) After four rounds of failed IVF, due to my poor response, we chose embryo adoption and are nine weeks pregnant with twins. I did not want to pursue IVF at first. I had a lot of pride in doing things the natural way. I was judgmental of those who chose to seek help from doctors. Especially since I had been blessed with a healthy pregnancy, amazing natural childbirth, and two years of breastfeeding bliss, I sort of believed I was better than others for choosing the natural way. But God slowly showed me that this was the sin of pride. We must be His humble servants as Mary was, and if God gave me a body to grow and give life, I should seek to do so and give life to a little embryo frozen in time. Plus, if God gave us the gift of each other as good parents we should do our part to parent the future and raise good people in this difficult world. I am sure fertility treatments are a scary prospect, but choosing life this way is not a rejection of God’s love in my view. Meanwhile I hope you will have the miracle you are waiting for. *hugs* Thanks for sharing honestly, Caroline. Yes, I do feel like we don’t fit in. After only ttc briefly, we deliberately chose to not pursue pregnancy due to my husband’s concerns about my health, and chose adoption instead, so I often feel like I don’t fit into the infertility camp. Yet I ache for pregnancy (something I will never have) and a baby (something I will hopefully have) just like those going through infertility. I am sorry you are feeling like you don’t belong. When I think of you, I think of how brave and faithful you are. As we start seriously thinking about stopping treatments, I feel like I won’t belong, either. It’s been easier not to blog because I don’t know what to say about how our next steps may look. Most people won’t understand that we are ready to let go of that chapter and wait for God to lead us into a new chapter. Regardless, I think you’re beautifully strong and leading the way for many infertile AND fertile women to live their lives by trusting God for everything they need daily! Your life is an example for much more than just the baby chapter!! It’s inspiring! I’m so sorry you’re going through this.. I wish you lots of love and luck and hope you find your place soon. A friend of mine is on the same position and they recently decided to adopt. I am sorry you feel this way. This is a post full of strength and faith, and I really admire that. Many good thoughts for you! I’m sorry you feel that way. My heart goes out to women who struggle but my admiration to those who are honest and bold enough to show their wounds is also really high. Thanks for sharing this. You have no idea how many people you have inspired with your story. I hope you find comfort and more strength. You perfectly described how I feel much of the time. Everyone else is having babies, and here I am still trying. Still waiting. But I’m not trying in the way the rest of the infertility community is. We’re relying on God, and some days it makes me feel crazy. I feel so blessed to have stumbled upon your story and a sister in Christ. I know exactly how you feel; and somehow knowing you feel this way, has lifted a weight I’ve been carrying for too long. Thank you. I am in full agreement with you and your husband that the Lord has already conquered your infertility and I pray the physical manifestation of that victory comes quickly to you (and me too!). I just saw this article on FB today. I’m in your group too. Not seeking out the expensive fertility treatments. Don’t fit in with the mom crowd. Stuck in the middle. So you are not alone. The group I do feel I belong in is the Childless Not By Choice group. Even it is filled with women of all backgrounds. Married, divorced, never married, living with a significant other, older, younger, women who’ve suffered miscarriages & those who’ve never been pregnant. And the list goes on. So even in that group there are great differences. Caroline – there are no coincidence for those of faith! God has made sure we met! I have been there. My husband and I did not seek IVF. I was frustrated with my regular ob-gyn because he didn’t tell me what was wrong that I wasn’t getting pregnant. I then found a medical approach that I agreed with spiritually and made sense to me medically. Find out the problem – fix it – then I won’t need IVF or anything like that! 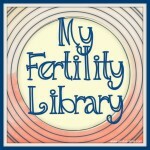 I encourage you to check it out http://www.fertilitycare.org/ I can tell you once I did that – I got answers. I had PCOS – my doctor never told me that. I had a couple other issues too. For the first time in my life I have regular periods. Although I still have never been pregnant – I believe I’m healthier now and probably could (but as I am sure you know, ya get tired of trying!). We adopted our son -so I became a mom. Don’t lose hope. I will pray for you! Don’t give up my friend! I loved reading you heart. I feel like so often we fill alone – like we don’t belong. No matter the trial we are facing. I love how you ended with relying on the Lord! It is so true, He is always on our side. Satan is the one sneaking around – whispering lies about how we are all alone or no one cares. I’m sure that more people care and love you and pray for your family than you realize – they just are not showing it to you in a way you see. I pray that not only will you find comfort in the Lord, but you will find comfort in family & friendships! That the Lord would bless you with people who will encourage your heart! They may not be going through the same exact thing, but they are going though something and together I pray that you move toward the Lord – seeking Him. And trusting Him! Dearest Caroline, my heart broke a bit when I read this but at the same time I’m amazed at your honesty and strength and I think that you are influencing and helping so many people without even knowing it. Though you feel like you don’t belong in those two groups I do hope you feel like you belong in the group of “strong women” “honest friends” and “community builders”. If anything I look up to you! It’s so hard to struggle long-term with issues like infertility. You’re right when you say “people forgot the struggle we’re going through” quickly. My father became very ill my senior year of college so I ended up giving up my dream job to care for him. It was 14 months of the most emotionally and physically draining experiences I’d ever had but after about a month no one would ask me how I was. Or how my dad was. I was only 22 and I felt so alone. None of my friends understood what I was going through. And none of them could really help. These mental and physical trials do make us better and stronger people. Just look at all the support you’ve gotten on this post! It makes me wish I’d had a blog back when my father was sick. It’s nice to know the internet helps us find the right people when we need them. Thank you for sharing — my heart goes out to you and sends you strength. Undoubtedly there is a reason for everything and I’m sure your journey will bring you to some fantastic and unexpected places. Thank you for sharing your heart. I don’t have children nor plan to for a long time, but my heart aches for you. I know what it feels like to want something so much and know it’s out of your control. Your outlook is refreshing and encouraging in all aspects of life. I believe you will be a mom one day. Praying for you, sweet lady! i do not personally know this struggle – but so many people that i hold dear to my heart are walking this path. i hope that in the midst of the darkness God continues to move. I have four children on earth. I have five in heaven. I know the struggle of fertility/pregnancy related issues. After my fourth consecutive miscarriage, I asked about having blood work done. The doctor agreed and I found out I had an LP defect. My progesterone was dropping after conception even though I was pregnant, causing me to start my “cycle” and lose everything. I started hormone treatments and six months later we were pregnant. I was told because of this hormonal problem, I’d likely never carry another pregnancy past 10 weeks. Less than a year after our daughter was born, I found out I was pregnant again… BIG SURPRISE! We were not trying! When I went to the dr and they did the initial ultrasound to find out how far I was, I was almost 3 months pregnant!! God is still in the miracle working business! I didnt read your whole article. I don’t know if you stated your health reasons for infertility I’m sorry for intruding but I feel so compelled to ask if you have tried cutting out ALL glutten & ALL GMO foods? They are known for infertility. I have an acquaintance that has a child. She cut out these foods to lose weight. Got a surprise too. Oh Caroline…my heart aches for you and for those like you who are also experiencing infertility. I know though that God is having his perfect way in you and I can see that you trust him even if you don’t understand or don’t like it. I am so blessed by your testimony. Hugs! Praying that however long the wait he will give you the perseverance and strength to get through one day at a time…knowing that he is with you and has a hope for you! There are times when we may feel alone and we don’t belong to groups of people who are walking the same path. But I guess the important thing is that you know Jesus walks with you, because when you know He does, you will find much consolation and strength. You are no longer alone. You have a Friend who knows you and accepts you as you are, and who will go with you every step of the way. I could cry, I relate so strongly to this. Three years of trying to conceive, and I don’t know a single thing about IVF, ICSI, FET, or any of those other abbreviations. Now it feels like I “missed the boat” on sharing my infertility journey as it was happening, and I feel out of place as I prepare to share my story in hindsight. However, I find peace in knowing this is God’s timeline for me. Again and again, God’s timing has proved1 better than mine. I pray that God will continue to bless our lonely paths as we follow His calling and purposes for us!